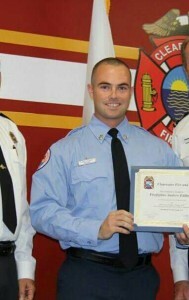 Drew Eddinger is a Firefighter/EMT with Clearwater Fire and Rescue and has a Bachelors Degree of Science from the University of Tampa. He started his career riding tailboard floating between Truck 45 and Truck 48. Drew is currently assigned to Truck 48. Drew Eddinger instructs topics on Truck Company operations, Firefighter Rescue, and Firefighter Survival for When Things Go Bad!